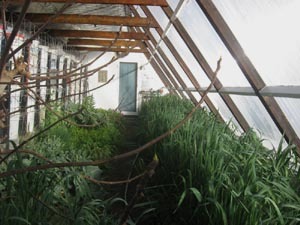 Greenhouse view as seen through a dormant fig tree: Currently growing chard, kale, salad greens, beets, carrots, celery, parsley and other herbs, peas, broccoli, artichokes and volunteer tomatoes will be bearing by late March. 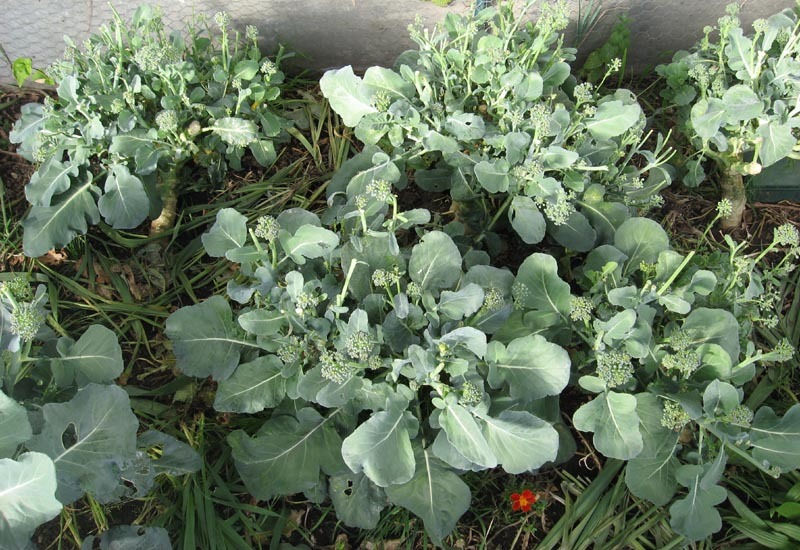 Full grown broccoli that was transplanted from the outside garden in late October, and has produced pounds of side shoots to date. 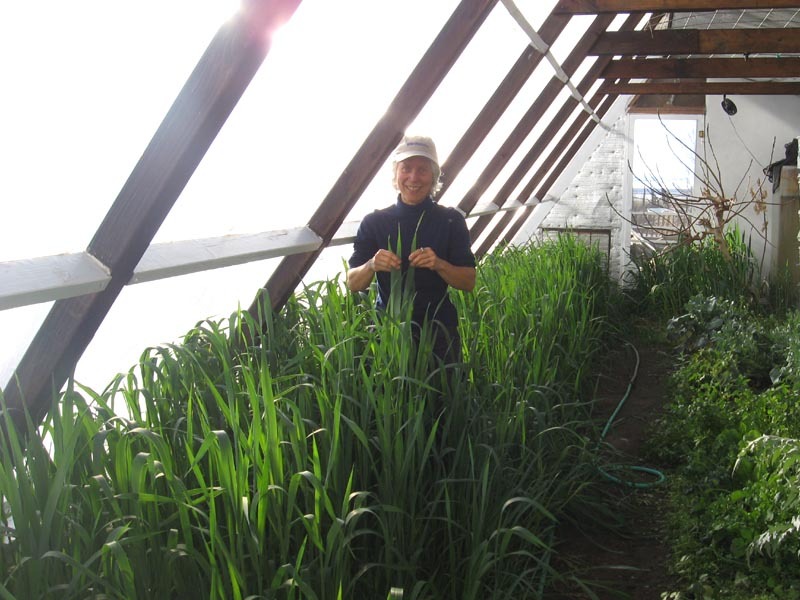 Cathy Hope stands among annual rye sewn in October, which will be used as a green manure crop that will be cut and turned into the soil, to add organic matter.